On September 17, 1970, a Long Beach funk band by the name of War became the last group to ever jam with Jimi Hendrix—but of course, not before Jimi showed drummer Harold Brown “how to eat in Europe.” With stomachs full of chicken tandoori, Jimi asked Brown and the War crew to come to the downstairs of Ronnie Scott’s, the legendary club in London, and did what they always do: jam. 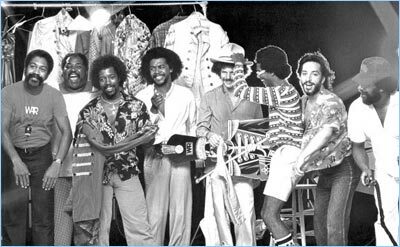 That juncture is War’s nomination that could get them inducted into the Rock and Roll Hall of Fame, marking the third time the legendary masters of funk have scored a nomination for the honor. The band—the creators behind classics like “Low Rider,” “Why Can’t We Be Friends?” “Spill the Wine,” and a plethora of other hits—hasn’t just jammed with Hendrix. We’re talking Joplin. 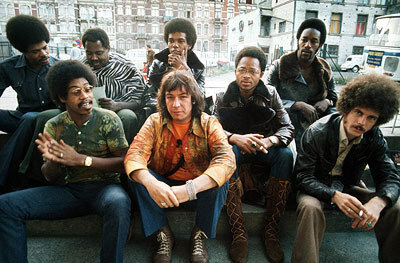 We’re talking Eric Burdon (more on him later). We’re talking Bob Marley, who once walked a street in Atlanta with Brown and War bassist BB Dickerson, nudged each in the arm and said, “You guys be ‘street musicians,’ music for the people. I gotta song for you.” Right then and there, sampling the motif from War’s “Slippin’ into Darkness” track, Marley began singing what would become “Get Up, Stand Up”—which still samples the motif from War’s classic song. Of course, War was a long time in the making. Long before the moniker of War came, the two original members, Brown and Howard E. Scott, met at the Cozy Lounge in Long Beach. The pair was first known as The Creators, covering James Brown and Richard Berry tunes while adding their own form of funk on top. 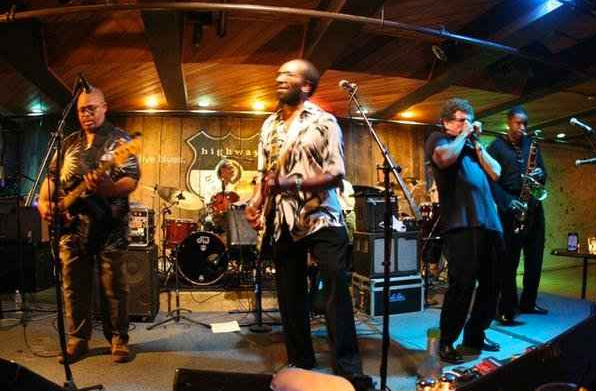 Brown’s spitfire style of reminiscing—bouncing between humility and pride—jumps from The Creators to Nite Shift, the band’s second name, inspired largely by Brown’s late night work a steel yard. It was then, in the summer of 1965, that they were tapped to become Otis Redding’s band but singer, guitarist, pianist, and overall musical guru Lonnie Jordan was too young. While the band lamented the loss of becoming part of Redding’s crew, it turns out that “God had other plans,” as Brown put it. The back cover of the band’s album, The World Is a Ghetto, considered by Rolling Stone to be one of the 500 best albums ever made and 1973’s best selling album of the year. They became the first all-black band to play on the Sunset Strip at the famed Whiskey A Go Go. The Palladium would follow (and his father’s nod of approval given Brown shot down a full-ride scholarship to attend college in favor of pursuing music). But it wasn’t until the band hit North Hollywood at The Ragdoll that they would strike gold. A skinny, Danish harmonica player by the name of Lee Oskar then asked the band if he could join in. Not knowing Oskar, the band then known as Nite Shift jammed it out, going from shuffle to Afro to Latin styles. Jerry Goldstein, the man behind the 1963 classic, “My Boyfriend’s Back,” thought they were good—so good that they band was invited to Benedict Canyon. Greeted by a woman in a black bikini and Ray Bans. Renamed War with Eric Burdon, the band headed up to San Francisco to record masterpieces like “Spilled the Wine”—named after an incident in which the band got intoxicated and spilled wine on one of the recording consoles in the studio. 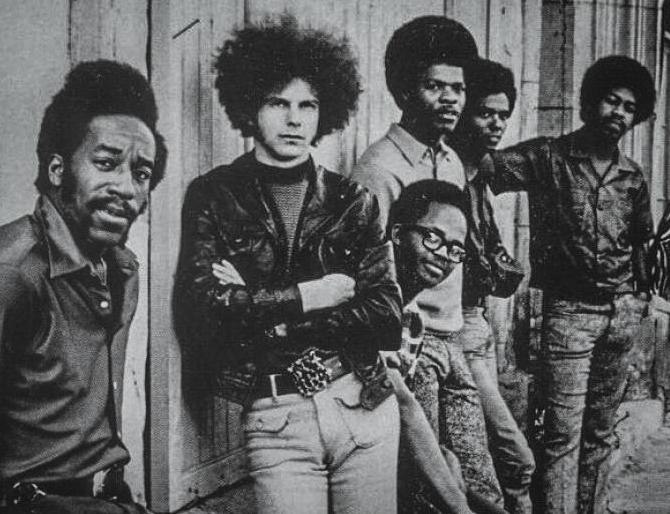 Following Hendrix’s death and two albums, however, Burdon left the band, leaving them to their own devices, including tracks that would catapult them into legends: “The Cisco Kid” (from their The World Is a Ghetto album, the best-selling album of 1973), “All Day Music,” “Why Can’t We Be Friends?” “Summer,” “Gypsy Man,” “The World Is a Ghetto,” and, of course, “Low Rider,” inspired by Brown’s many trips to Tijuana bars and the life of mechanics. Which brings us back to the situation at hand: why isn’t War in the Rock & Roll Hall of Fame? With two members, Charles Miller and Papa Dee Allen, having transitioned—Brown’s term for passing, named after a song he wrote, “Transition,” and occasionally drops into song when mentioning transitions—there remain five living members, whose turn it is to revel in the fact that their life’s work is an essential thread in the very expansive fabric of rock and roll. Surely, Brown and crew are not at the height of exposure they were beforehand. The band that still performs as War only has Lonnie Jordan as its original member while Brown, Dickerson, Oskar, and Scott banded together to form The Lowrider Band. The Lowrider Band, playing Seattle’s Jazz Alley in 2007. Photo courtesy of Shoji Onozawa. Mostly, the answer to the question that has been asked three times by the Hall of Fame and countless times by fans is up to the fans themselves: the Rock & Roll Hall of Fame has nominated fifteen musicians/bands for fans to vote for, but War must make it into the top five in order for the public’s votes to be tallied with other ballots from Hall of Fame members. To vote for War to be inducted into the Rock & Roll Hall of Fame, click here. You can vote once per day.